Specialized in the repair of new and antique oriental area rugs, we have been serving Manhattan, Queens and Brooklyn for more than twenty years. 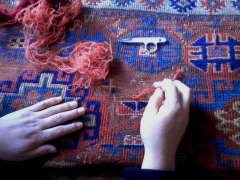 As a collaboration of Turkish, Tibetan, Moroccan and Persian weavers, we work on all kinds of hand made area rugs. 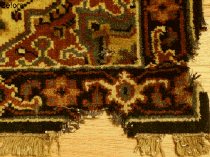 Specialization is necessary in restoring a valuable hand made rug. 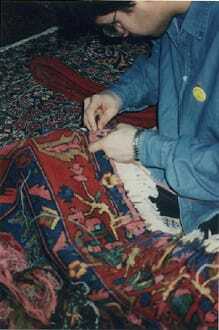 An antique Persian rug is best repaired by a Persian weaver, a Berber rug by a Moroccan. 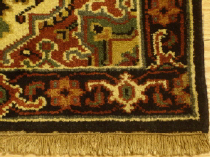 For undetectable restoration, the original weaving technique, as well as the type of fiber are used. Wool, cotton or silk is spun by hand and dyed to match the original and if necessary the antique appearance.